DENVER, Aug. 9, 2018 /PRNewswire/ -- Chipotle Mexican Grill (NYSE: CMG) is piloting two new menu items and promotions in select cities nationwide as part of its overall commitment to make the brand more accessible and give fans the food they love when they want it. First up is a dream come true for bacon lovers. Applewood Smoked Bacon begins its journey on the road to a national rollout after receiving a tremendous response from consumers at the NEXT kitchen in New York City. In September, bacon will expand to an eight-restaurant operations test in Orange County, Calif. before being considered for a full market test. "Consumers have always said 'everything tastes better with bacon' and that is exactly what we confirmed in our New York test kitchen," said Chris Brandt, chief marketing officer at Chipotle. 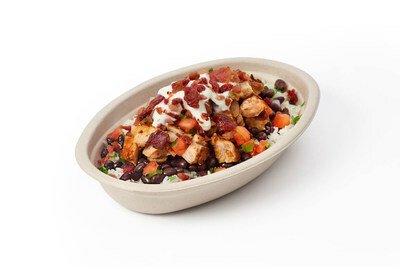 "We found consumers added bacon to their traditional bowls, burritos, tacos and nachos while also enjoying new items such as the BLT quesadilla with bacon, lettuce, tomato and cheese grilled to perfection." Quesadillas are currently only available in the NEXT kitchen in New York City. With positive results from the recent ten-restaurant test, nachos are expanding to full-market tests in Denver and Minneapolis-St. Paul this October. Chipotle nachos, which are a top customer request, include homemade corn tortilla chips topped with an all new genuine queso and choice of meat, beans, salsas and lettuce. From now until September 30, customers at participating locations in Miami and Dallas can get $2 tacos with the purchase of any drink after 8pm. The participating Chipotle restaurants in Miami and Dallas will now stay open later, until 11pm, helping to satisfy demand for food experiences outside of standard business hours. An additional pilot underway offers customers at select Philadelphia and Indianapolis restaurants the option to add regular-sized chips and a fountain drink to their entrée order for just $3. "A cornerstone of our new strategy is to make Chipotle more culturally relevant and to meet our customers where they are with flavorful food they can feel good about eating," added Brandt. "We know that Chipotle is a great place to start or end the night, which is why we're excited to test this pilot with our Miami and Dallas night owl fans." Available in-restaurant and for a limited time only, the promotions are being tested via Chipotle's new stage-gate process, which allows the company to test, learn, listen to customer feedback, and iterate extensively before moving ahead with a national launch. Both offers and new menu items are subject to availability and may not be combined with other promotions, offers or coupons.